Want to write your own bestseller. Then learn from the masters. Once you have decided upon your genre study the bestsellers in this field and your favourite authors. Analyse the overall plot and then how each chapter revealed character history and personality, created crisis and conflict and how the main character and their protagonists interact with each other. Note how each chapter opens and builds to a new drama and how it ends foreshadowing some conflict or problem still to be resolved. What kept you turning the pages? Originally the Loveday novels were to be a trilogy. By book three it was obvious that the trilogy was emerging into a series as the three sets of Loveday cousins became engaged in so many exciting adventures. Although each book must stand on its own as a complete story I now wanted to embrace all the family within the theme of each book title. 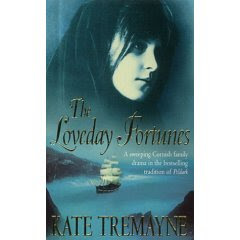 The third book in the series THE LOVEDAY TRIALS is about the trials of adversity faced by the family and also the court trial when St John is arrested for the murder of an enemy. Historically it was a turbulent time with lots of scope for the men to participate. It was great fun to write and it has been described as the Scarlet Pimpernel meets Hornblower meets Poldark. As the Lovedays’ finances recover from near ruin, it is clear their trials are far from over. Adam returning to Trevowan with Senara – now his wife – and their baby son, finds himself at loggerheads for the first time with his father. Edward refuses to accept his son’s choice of bride, and as a result Adam finds it impossible to continue working in the Loveday shipyard so dear to him. To support his family he works as an English spy in a France still in the grip of the Terror. Treachery and adventure await him and his life is endangered. Meanwhile in Cornwall Senara strives to be accepted by the Loveday family and local community. St John, meanwhile, is in trouble again. His involvement in the murky world of smuggling has made him some dangerous enemies – not least the corrupt and evil Thadeous Lanyon, who suspects him of being in league with the notorious smuggler and Lanyon’s arch enemy, Harry Sawle. Lanyon thinks nothing of killing anyone who crosses him – so when he himself is found murdered, and Sawle has an alibi, St John is arrested. He must face trial and, if found guilty, will be hanged. This scandal adds to the growing dissent and rivalry that troubles the Loveday household. Even Edward must face a secret from his past that threatens to rock the stability of his own marriage. Japhet the unrepentent rakehell lives dangerously close to the wrong side of the law. Can love redeem him, or will his reputation destroy his chance of happiness? Will the Lovedays pull together as they have done before? Or will these new trials finally tear them apart? Intrigue, passion and tensions abound in THE LOVEDAY TRIALS making it an unforgettable read. Know your characters as well as your best friends. And remember no matter how long you have known a best friend there is always something in their past that will amaze or surprise you. We all have dark sides which we usually keep hidden but certain experiences or situations will bring out these reactions. And there is the face we show to the world and the one revealed only in private. These are all aspects which when shown to a reader will allow them to emphasise with a character and keep them wanting to know more. That was the concept behind the Loveday Secrets which created a greater insight and dramatic past adventures and conflicts for the characters. This is the first time Senara appears in book 2 of the series. As each book has to stand alone the danger in retroducing characters is that readers of book one know all about Senara but she is a stranger to a new reader. Introductions therefore have to tell you intricate facts of their personality in a concise way whilst foreshadowing something of the conflict to come. Leah Polglase was rarely ruffled by anything life dealt her and had never judged her daughter's relationship with Adam Loveday as wrong. Happiness was a rare commodity for the poor and you took it with an open heart when it blessed your life. Leah studied her daughter. Senara was beautiful, with an oval face and high cheekbones. There was a sensuous sweep to her brows and tilt of her full lips. Such beauty was dangerous to a woman who was half-gypsy. Women became jealous and saw her as a rival. and men too easily desired her, believing her lowly status made her easy sport. Captain Loveday adored Senara and treated her with respect. The words were defiant, but Leah could see behind them to the passion and vulnerability beneath. Adam Loveday was handsome and charming enough to turn the head of a princess. Yet could be bring her daughter lasting happiness? She shook her grey-head and sighed, fearing the couple's love was ill fated. As I told you in my previous post Adam was to be the main hero of the books with his twin St John as a secondary character. 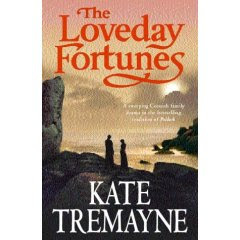 As the rivalry between the twins intensfied with St John forced to marry at gunpoint Meriel Sawle, the woman both of them had been rivals for, more of St John's story is revealed in the second book of the series THE LOVEDAY FORTUNES. Meriel, is a woman of great beauty and few scruples and she was determined to marry above her station, as a tavern keeper's daughter, for riches. In the meantime Adam has been forced by family duty to become betrothed to his French cousin Lisette as her sick father fears for her safety with the unrest brewing in pre-revolution France. When first devising the characters for the series I wanted to introduce them to the reader so that on their first impression of them they were not always aware of the more devious side of their natures. Also diversity of personalities was needed to make them foils for their opponents. Meriel was obviously a scheming fortune-huntress but Lisette gave all the appearance of a sweet innocent. Nothing could have been further from the truth as was revealed in later books. St John's victory over Adam in marrying Meriel is a hollow one. The passionate seductress in book one is now cold and manipulative influencing her weak husband in her schemes to acquire wealth. Romance is never an easy path as Adam falls in love with Senara who despite her gypsy birth is too proud to share him when he must marry. The great fun of a series is that the characters have the space to develop through their experiences and all facets of their personalities can be slowly revealed. As the civil unrest in France gathers force, ripples of conflict are also reaching across the Channel, for the Loveday family are fighting their own private battles. Charles Mercer - Edward Loveday's brother-in-law - has been found dead, the reputation of his eminent bank in tatters. Charles has left the Lovedays facing emotional trauma and financial ruin. But risk comes as second nature to the Lovedays. Adam finds refuge from the pressures of keeping the family shipyard solvent in the arms of Senara - whom he is determined to marry despite his father's threats of disinheritance. And St John, angry at having to curb his spending, throws his hand in with the Sawle brolthers - the notorious smugglers who rule Penruan by intimidation and violence. This wonderful new cover for the paperback of The Loveday Secrets which will be published in December has just been faxed to me by my editor. Isn't it gorgeous. These are the two great covers for the paperback publication of ADAM LOVEDAY the first book in the Loveday series. The one on the right is the current re-issued cover. Although the series covers the lives of three sets of Loveday cousins from the outset Adam was the main hero. As the younger twin who loved his family home Trevowan and was a skilled and talented shipwright, he was denied the two things he held most dear by the circumstances of his birth. His older twin St John soon proved the weaker son, bent upon his own self gratification and no interest in the family shipyard. The rivalry between the twins started at a young age and was to continue throughout their lives. Believing the shipyard was out of his reach Adam began a career in the navy but his wild blood brought an abrupt end to his career and to redeem his himself he became a spy for the British government during the early years of the French Revolution. St John continued his dissolute lifestyle and their rakehell cousin Japhet, the eldest son of a rector was also seeking his fortune by living dangerously close to the wrong side of the law. Japhet's brother Pious Peter was fighting his own inner demons in the shadow of his brother's reputation and their sister Hannah is battling to save her husband's farm during his long illness. Meanwhile in London Thomas the eldest cousin is shackled to his father's bank but dreams of becoming a famous playwright. Thomas is also gaining the reputation as a notable duellist.